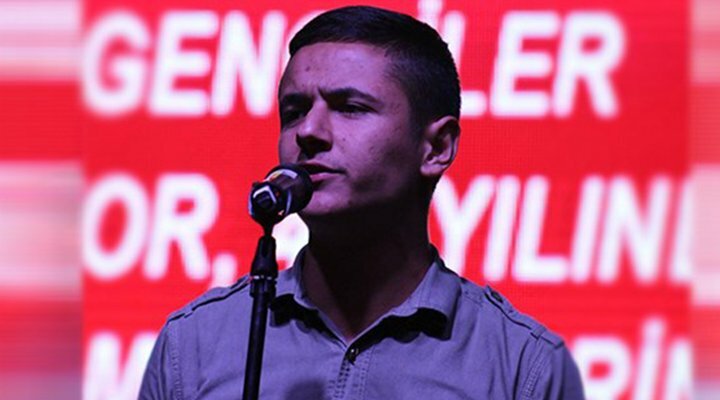 Alişan Taburoğlu, a 21-year-old student from Akdeniz University, has written a letter to former Republican People’s Party (CHP) deputy Barış Yarkadaş saying he has been sentenced to 21 years in prison without physically being present in the courtroom. “I have never been brought to a courtroom. I was convicted and sentenced to 21 years’ jail time,” Taburoğlu said in the letter that Yarkadaş posted on Twitter on Thursday. Taburoğlu was detained in May 2015 after May Day demonstrations in İstanbul along with more than 400 protestors and put in pretrial detention at Silivri Prison. However, two years later he was transferred to Burhaniye Prison in Balıkesir, where he was only allowed to participate in hearings through a videoconference system. He was arrested by the court for membership in the Public Front, which was designated by Turkish authorities as a terrorist group since they have been involved in armed confrontations with the police on several occasions. But this is not the only case in which he was tried. According to the letter, there were 20 different cases filed against him in the courts. By means of a government decree under a state of emergency declared after a failed coup, the obligation to bring defendants to courtrooms was lifted, and a videoconference system (SEGBİS) was installed in prisons across Turkey. Before that, SEGBİS was limited to only a few prisons. The system has been in dispute since then, with the Supreme Court of Appeals stating in 2016 that being present in the courtroom is a right for every defendant. Taburoğlu also stressed these debates in his letter, adding that a defendant participating the session through SEGBİS cannot talk to his or her lawyer during the hearings, cannot face witnesses or accusers and cannot see any new documents presented to the court. He even refused to use the SEGBİS system in a hearing on March 29 and was scolded by the head judge of the İstanbul 14th High Criminal Court. He then left the videoconference room, after which he was handed down a sentence of five years, six months without making his final remarks. “The courts have been engaging in such unlawful treatment because they are aware that no one can adequately us, and as a result they have sentenced me to years in prison,” he said. “Mine is only one example. I know hundreds, even thousands, of people facing same unlawfulness,” he added.